Andros Outdoor Adventures provide fly fishing lessons at superior locations throughout Andros and several locations throughout the country. Our fly fishing coaching days are great fun with personalized instruction. All the necessary equipment can be supplied including rods, reels, flies etc. The majority of the coaching time is delivered while our students are actually fishing and a number of them manage to reel in one of the infamous three during their lesson. Beginners’ lessons are usually one on one or with small groups and can take place over a full or half-day lesson. For larger groups we provide a minimum of one coach to every four people to keep it effective and enjoyable. We guarantee that starting using the correct technique with practice, will enable individuals to become competent casters in a short space of time and allow them to enjoy their full fishing experience! For the more experienced fly fisherman the focus would be on fly casting techniques with the day being tailored to their individual requests. One-on-one private fly fishing lesson is $250.00 per hour. 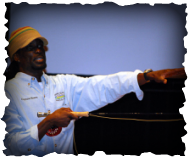 fly fishing instruction - beginners or improvement lessons. an introduction to fly fishing method and tackle. fly fishing equipment loan, including, rods, reels, flies, etc. pre-trip logistical advice regarding airline travel, ground transport, accommodation, etc. To book your fly fishing lesson with Andros Outdoor Adventures or for more information please call (242) 368-5044 or (242) 554-1249 or email us at exploreandros@gmail.com. team building fly fishing events. Fly fishing provides an alternative to the standard corporate or team building events! It’s an enjoyable and interesting activity which knows no barrier of age or gender. Group sizes from 4 to 20 can be accommodated. For your special customer or visitor, Andros Outdoor Adventures can provide one on one guided or tuition fly fishing days on the world’s best fishing flats. For more detailed information, to discuss your requirements or to book your day please give us a call (242) 368-5044 / (242) 554-1249 or email exploreandros@gmail.com.